Tall Mom on the RUN: Rock N Roll Baby!!! You are such an inspiration, I'll have you know. I read your posts and you always look so happy. I strive to one day look this happy when I finish my first marathon :) Look forward to reading more about this weekend. I love the half distance too! Congrats on your race. Can't wait to hear your full re-cap. I truly feel the marathon will be a one time thing for me. BUT, the half seems just about right. Relax! You are awesome. Awesome job! I am glad you had an amazing race! Congrats on finishing another one! Looking forward to your race recap! I'm on such a HIGH spending the weekend with you Mel!! Thank you thank you! FABULOUS WEEKEND!!!! Congratulations!!! Looks like an awesome time! I can't wait to be able to say I did 13.1 come November!!! Congrats!! It looks like you girls had a great time!! Congrats! Glad you enjoyed the race, I think you needed that :) I don't like the half distance my favorite so far is the 50k distance, but I think it's important to know your favorite no point in doing it if you don't love it! Cant wait to read the recap. Looks like you all had a great time. YOu look great Mel! Glad you had such a fun time, I love all the posts i've been seeing on this race! you look FABULOUS!! Congrats on another half!!! Congratulations on #6!!! You guys look great---hardly any sweat LOL! I was the one that said Hi! to you guys at the finish line! Great job! congrats on number 6! 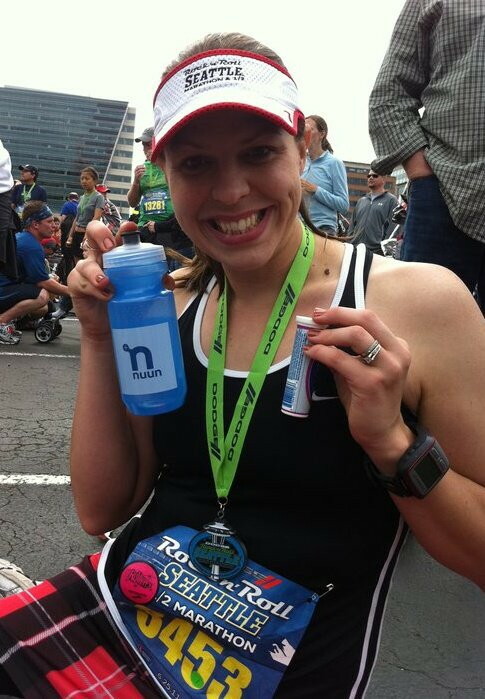 love the nuun love!! I hear you on so much to write about and no energy to do it. Oof! Congrats on your half! Nuun is delicious and you look fantastic! Congratulations on #6!!!! You inspired me to run my first in December (Vegas), and I ran my 4th on June 12th. I am hoping to run 10 halfs in 2011 ... I have a little ways to go. I love that distance, a challenge but do-able. Hoping to run a full in spring 2012 ... good luck with your 10 by the end of 2011! !